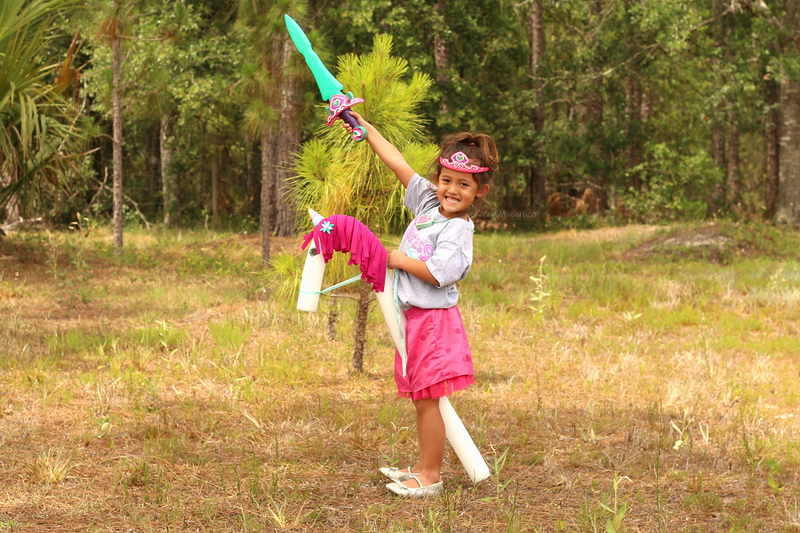 Celebrate the new preschool show Nella the Princess Knight with this easy Pool Noodle Unicorn DIY. This post is sponsored by Nickelodeon. All royally awesome opinions are my own. I’ve got a preschooler ready to ride off into the sunset – literally. As we begin to wind down our last few days of Pre-K, my daughter is already dreaming up summer adventures with her new favorite show, Nella the Princess Knight! Since she already had the sword, crown and necklace, I knew the next logical step was to get her noble steed to ride. 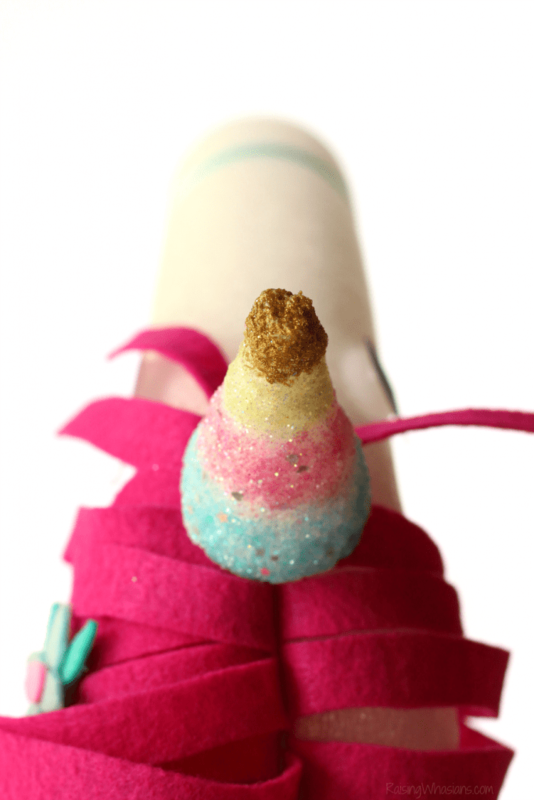 So we made Nella’s trusty friend Trinket in this Pool Noodle Unicorn DIY. 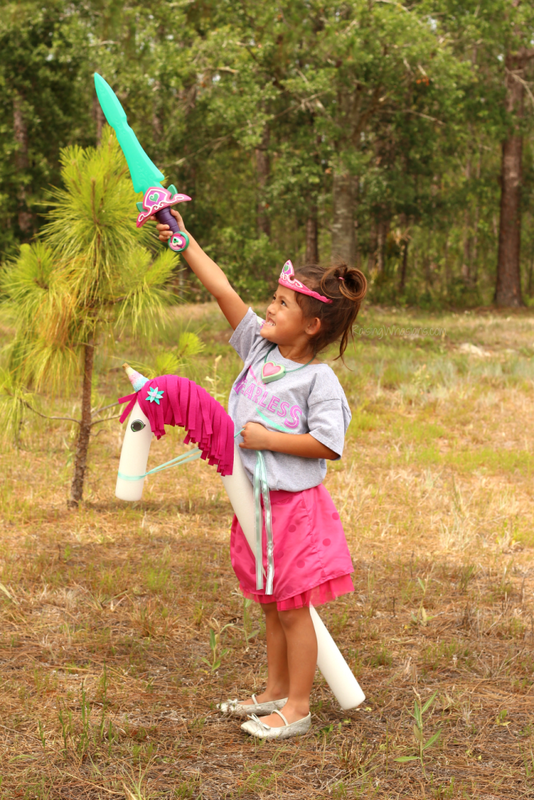 Come celebrate the newest princess in the hood with this adorable DIY unicorn idea, and watch Nella the Princess Knight weekdays on Nickelodeon. Be your own hero! This new Nick Jr. animated preschool series is the perfect combo of princess-like qualities with a hero twist. Empowering young girls with self-confidence, inclusiveness and compassion for others, Nella The Princess Knight inspires girls to be their sparkly best in every episode. No princess knight is complete without her trusty steed! 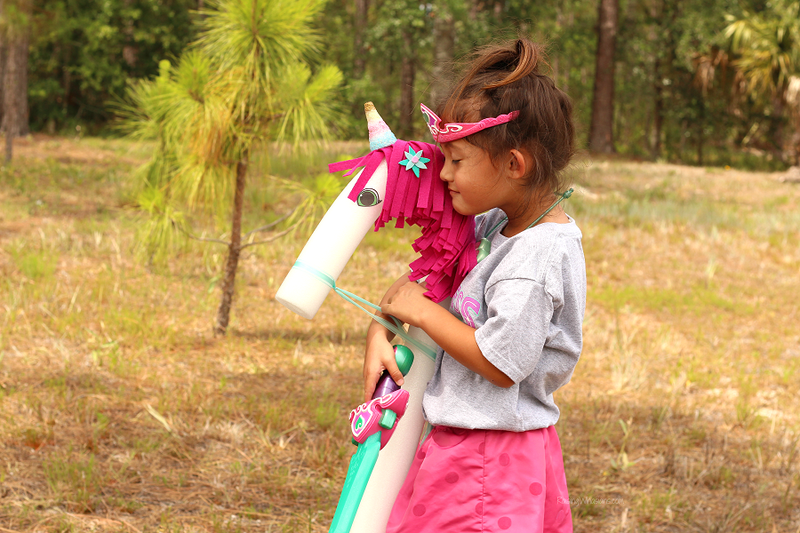 Trinket the unicorn is Nella’s faithful friend and the perfect inspiration for this pool noodle unicorn DIY. Ready to make one for your princess knight? Let’s start by cutting the unicorn hair out of the pink felt. 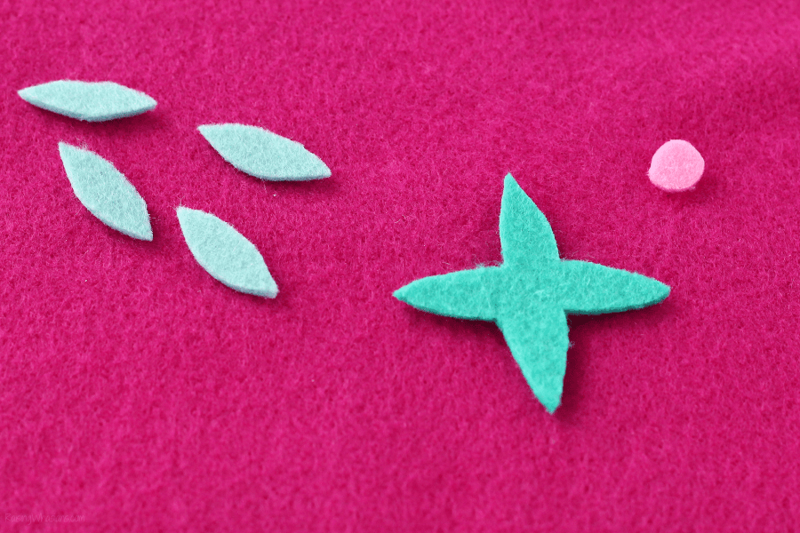 Take your soft pink felt sheets and fold in half. Cut 1/4 – 1/2 inch strips starting at the bottom of the unfolded section to about 1/2 – 1 inches away from the fold. Yay unicorn hair! Measure about 9 inches from the end of the pool noodle. 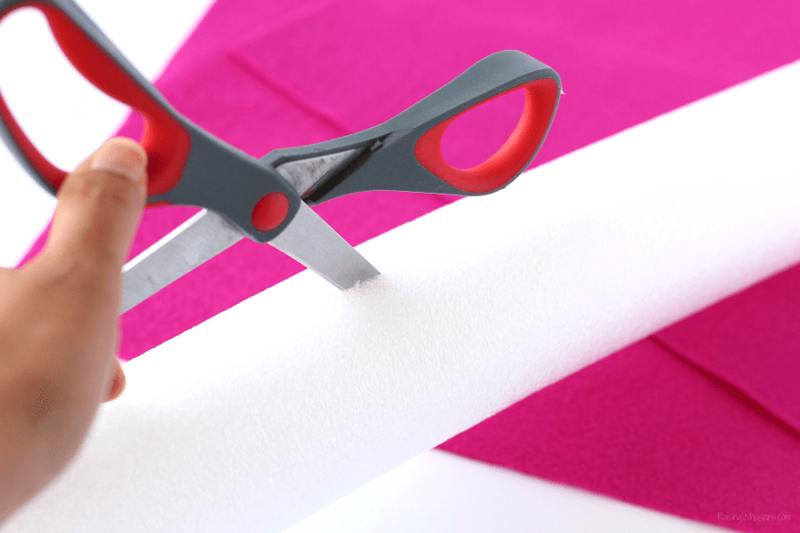 Make a single straight 9-inch slit (halfway through the pool noodle (until you reach the hollow center – not through to the other side) towards the longer end of the pool noodle. 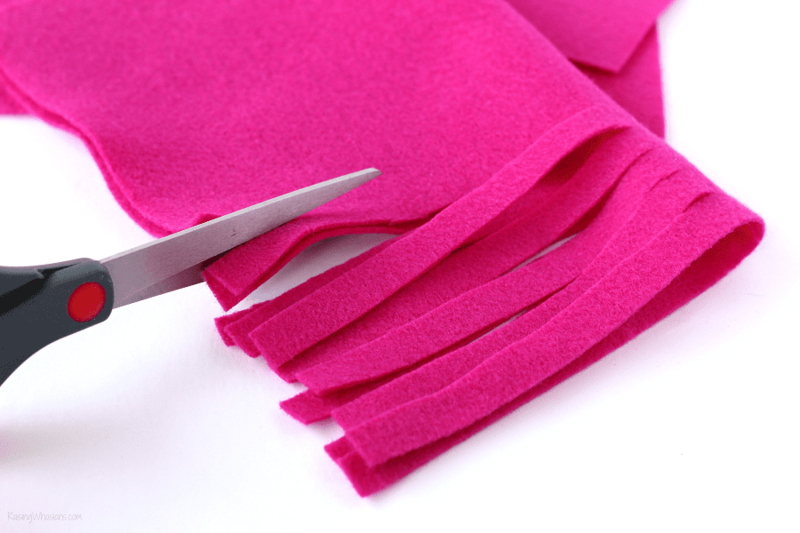 Take your pink felt and stuff the non-cut folds into the slit of the pool noodle. Trinket has the cutest little teal flower in her hair. 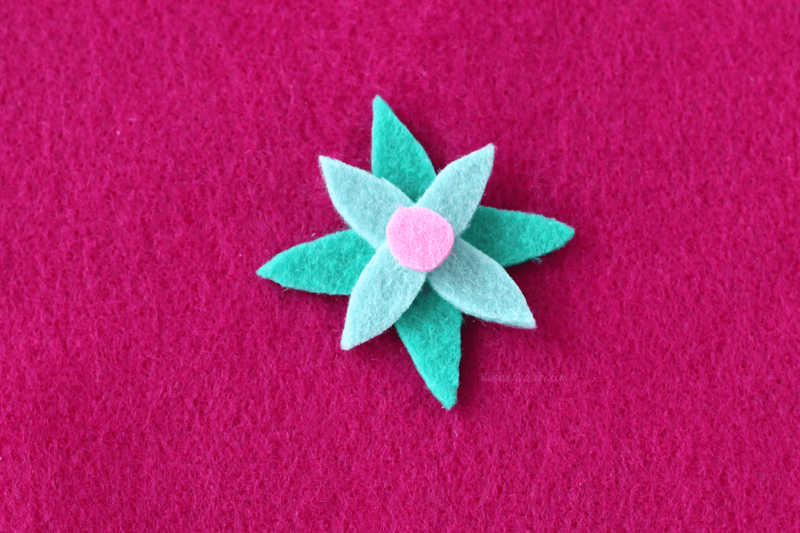 Using stiff teal felt, I cut out and glued this flower into her hair. 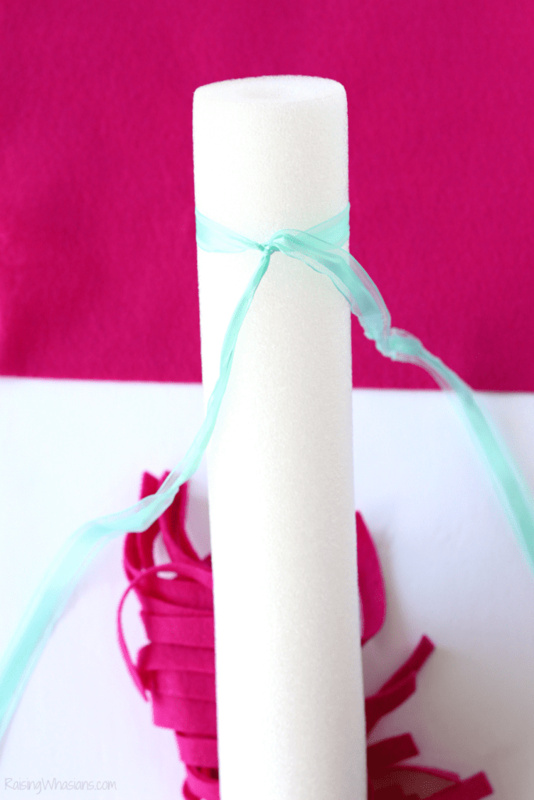 Take your teal ribbon and tie a knot about 2 -3 inches from the short end of the pool noodle. Wrap the ends around the other side of the pool noodle, so your noodle is now bent like a candy cane (or upside down “J”). Tie a knot to hold in place (you may want to reinforce with some glue if your kids are any bit as rough as mine). Leave enough excess ribbon to create “reins” for your child to hold onto as they ride. 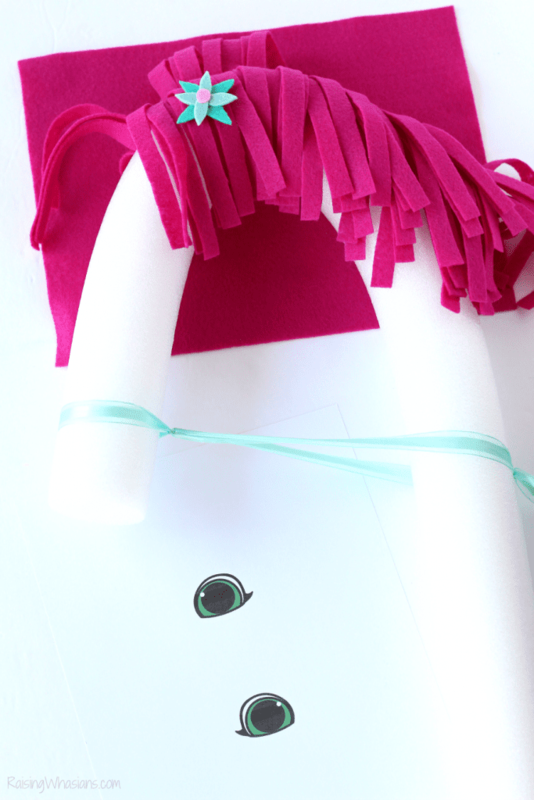 Print and cut out unicorn eyes from the Nella the Princess Knight Printable HERE. Glue eyes onto your pool noodle. Lastly, our unicorn needs a horn! Paint as desired and glue on glitter with mod podge. Glue horn onto the top of your unicorn. Voila! 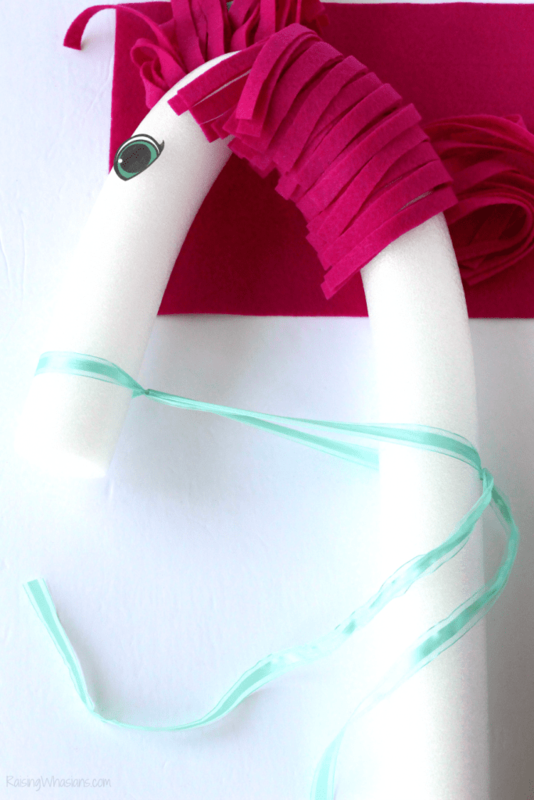 Perfect for a party, this Pool Noodle Unicorn DIY turns an easy craft idea into a fun play time idea! Time to ride off into adventure! 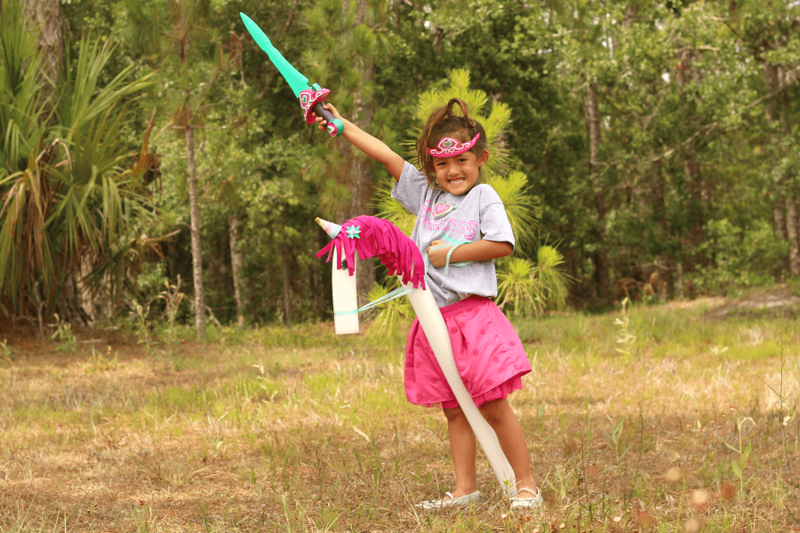 This Pool Noodle Unicorn DIY is a fun craft idea for imaginative play – and the perfect pal for your little princess knight! My little girl just loves riding her new unicorn all over the house so she can be “strong, smart and full of heart,” just like her favorite Princess Knight, Nella! Let your little Nella the Princess Knight ride into the sunset with her unicorn friend, Trinket. And be sure to watch Nella the Princess Knight weekdays on Nickelodeon. For even more Nella, check out NickJr.com/nella-the-princess-knight! 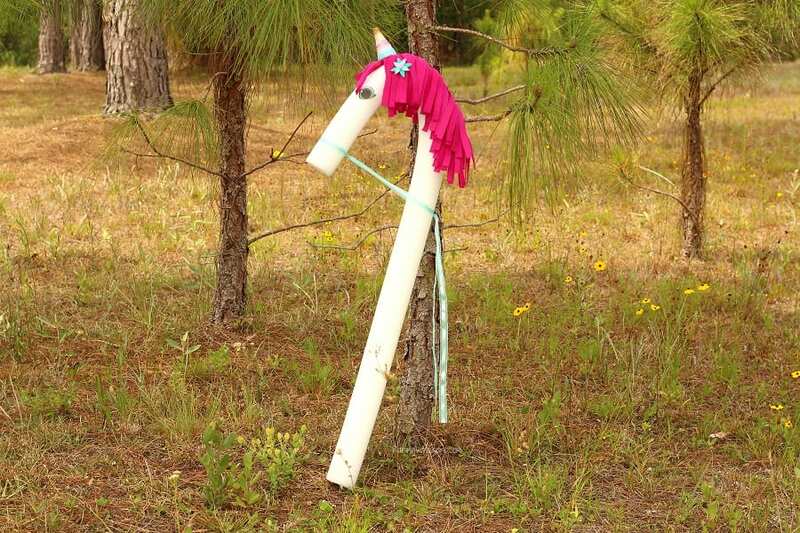 Would your child love riding her own Pool Noodle Unicorn? Be sure to follow Raising Whasians via Facebook, Twitter, Google, Instagram, Pinterest and YouTube for more fun kids craft ideas, easy recipes and family moments. This is the sort of project I loved making for my kids when they were small. Enjoy those times- they are gone all too soon! 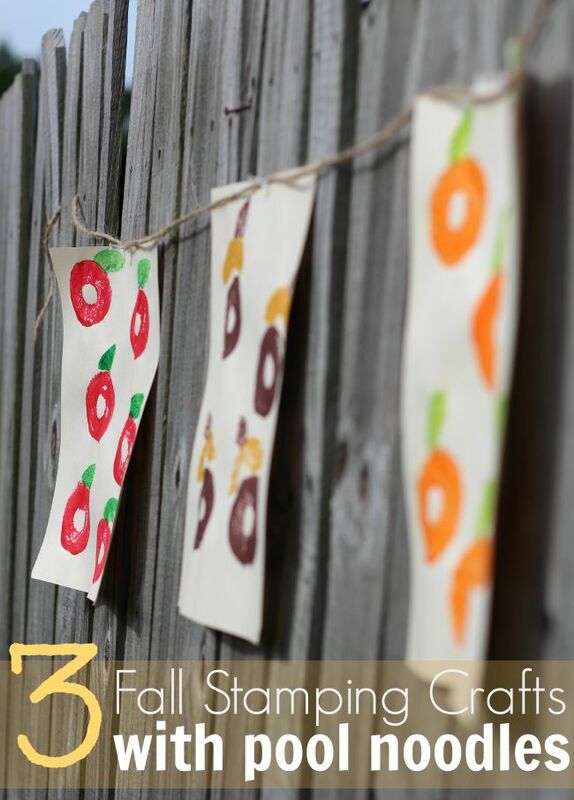 This is a cute and easy thing to make. I could see any unicorn fan loving it. Very clever! I love the idea of a princess knight. That’s great for little girls. And that unicorn project is too cute.